Editor’s Note: The following is an interview that AIM’s Cliff Kincaid gave to RadicalIslam.org National Security Analyst Ryan Mauro. The introduction and interview are included in their entirety. Cliff Kincaid is the president of America’s Survival, Inc. and the director of the Accuracy in Media (AIM) Center for Investigative Journalism. AIM set up a website, StopAlJazeera.org, to stop the Islamist television network that is based in Qatar from coming to the U.S.
Kincaid calls Al-Jazeera an “enemy propaganda network that has served as a mouthpiece for terrorist groups” including Al-Qaeda, Hamas, Hezbollah and the Muslim Brotherhood. Sheikh Yousef al-Qaradawi, the extremist spiritual leader of the Muslim Brotherhood, has his own show on Al-Jazeera. 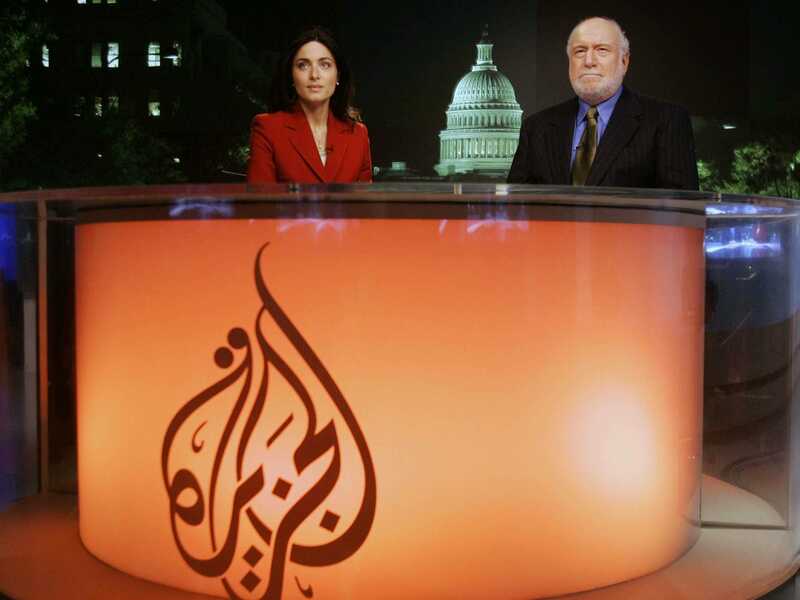 In May 2006, AIM’s Roger Aronoff produced a 20-minute documentary titled, “Terror Television: The Rise of Al-Jazeera and the Hate America Media,” which was screened for over 100 congressional staffers and was written and narrated by Kincaid. He is renewing his campaign in the wake of former Vice President Al Gore’s sale of his Current TV network to Al-Jazeera for an estimated $500 million ($100 million to Gore personally), giving it access to 40-50 million homes. The American-Islamic Forum on Democracy, a Muslim group opposed to Islamists, is urging cable companies to reconsider their lineups in the wake of the sale. Kincaid’s new campaign calls on the chairman of the House Homeland Security Committee, Rep. Michael McCaul (R-TX), to hold hearings on the danger posed by Al-Jazeera’s broadcasting in America. Ryan Mauro: Can you summarize why you believe it would be dangerous to allow Al-Jazeera America to become a reality? Cliff Kincaid: At a time when Americans are increasingly concerned about gun violence and the murder of innocents, Al- Jazeera wants access to tens of millions of American homes to promote its own brand of anti-American violence and terrorism. For the sake of our loved ones, we have to say no. Al-Jazeera could inspire jihadism on American soil, just as it has provoked anti-American terrorism abroad. Captured terrorists in Iraq said they came to Iraq to kill Americans because of the words and images on Al Jazeera. Dr. Judea Pearl, the father of slain journalist Daniel Pearl, supports an investigation of Al Gore’s sale of Current TV to Al-Jazeera, saying, “Al-Jazeera weaves the ideological structure and combustible angers from which jihadi recruits eventually emerge.” If Al-Jazeera reaches English-speaking Arabs and Muslims in the U.S. with its incendiary messages, we could see suicide bombings on the streets of America and the development of more Al Qaeda cells plotting 9/11-type terrorist attacks. Mauro: What do you hope congressional hearings will accomplish, besides bringing some temporary coverage to the issue? Kincaid: Al Manar has already been banned from the U.S. after it was determined that it was part of the Iran-funded terrorist group Hezbollah. In the same manner, the hearings should examine whether Al-Jazeera is a global terrorist entity and whether it should, therefore, be banned. This means examining Al-Jazeera’s relationship with Al Qaeda. 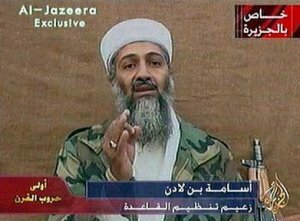 Al-Jazeera was the voice of Osama bin Laden, who was responsible for killing about 3,000 American citizens. We must remember 9/11 and always be on guard against the terrorist enemy exploiting our own media to use against our citizens. Al-Jazeera’s then-Kabul-based reporter Tayseer Allouni had conducted an interview with Osama bin Laden after the 9/11 terrorist attacks. Allouni was later convicted of being an agent of Al Qaeda and was sentenced to seven years in prison in Spain. It is interesting to note that the new film, “Zero Dark Thirty,” mentions that the courier who eventually led the CIA to bin Laden was located in Pakistan near an Al-Jazeera office in order to get the terrorist leader’s videotapes to the channel for worldwide distribution. This captures an essential truth about Al Qaeda – its use of Al-Jazeera as a weapon of war. CNN reports that a document found in bin Laden’s compound after his death referred to a meeting with the Al-Jazeera bureau chief in Pakistan. A still photograph from an undated video released by the Department of Defense of the materials from the compound showed bin Laden watching television and holding a remote control. He was reportedly watching himself on television. Al-Jazeera was his favorite television channel until the time of his death. The taking over of an American cable channel by Al-Jazeera is tantamount to giving American broadcast facilities during World War II to “Tokyo Rose” and “Axis Sally.” Tokyo Rose was the name given to an American broadcasting on Tokyo shortwave radio, while Axis Sally was “The American voice of Nazi Germany” and was broadcasting on Berlin radio. Both of them, incidentally, were apprehended and prosecuted for treason and sent to prison. The purpose of the broadcasts was to demoralize the American side in the war. In Al-Jazeera’s case, the channel, through the acquisition of Current TV, is seeking to establish a more permanent base on U.S. soil, in order to undermine the U.S. war on Islamic terrorism and provide support for President Obama’s embrace of the Muslim Brotherhood. We are not at war with Qatar, which owns Al-Jazeera, but we are at war with the jihadists being supported by Qatar, Al-Jazeera and the Muslim Brotherhood. Qatar openly supports Hamas and Hezbollah and protected 9/11 mastermind and bin Laden lieutenant Khalid Sheik Mohammed from apprehension by U.S. authorities. The hearings should examine why Al-Jazeera’s current broadcasts into the U.S. are not being labeled by cable and satellite providers as foreign propaganda under the Foreign Agents Registration Act, and why public television stations are turning their broadcast time over to Al Jazeera and other foreign channels, in violation of Federal Communications Commission rules. Also, the hearing should examine the nature of the Qatar regime, which does not tolerate freedom of the press within its own borders. Qatar is a country ruled by an Islamist dictatorship and governed by Sharia law. Mauro: It will be argued that you are violating freedom of speech and that poisonous ideas will be debunked when exposed. How do you respond? Kincaid: Al-Jazeera will continue to exploit the Internet and YouTube, while its English-language version is available on some U.S. cable systems and through satellite television. We have not called for those broadcasts to be banned, only labeled as the foreign propaganda they are. But Al-Jazeera’s purchase of a cable television channel in the U.S., in order to get carriage in 40-50 million homes, is unprecedented and devious, since it had no success getting on those cable systems on its own merit. What’s more, the deal was not reported to the Committee on Foreign Investment in the U.S. (CFIUS) of the Treasury Department, in violation of the law. Holding hearings does not necessarily disqualify the purchase. But we have a right to know why the law is not being enforced, and whether new laws are needed to monitor and restrict enemy propaganda activities on U.S. soil. Mauro: Al-Jazeera English’s coverage of the Middle East has been praised and your opponents will argue that this means that Al-Jazeera America cannot be equated with its Arab counterpart. What do you say to that? Kincaid: Al-Jazeera English is different in tone than Al Jazeera Arabic. But the State Department’s own human rights report on Qatar notes that “the government [Qatar] exercised editorial and programmatic control of the channel through funding and selection of the station’s management.” That includes Al-Jazeera English. The pro-terrorist messages do come through Al-Jazeera English. Al-Jazeera English gave favorable coverage to the Islamic Army in Iraq, an anti-American terrorist group. More recently, Al Qaeda leader Anwar al-Awlaki praised Al-Jazeera. When Al-Jazeera Arabic ran a 2010 interview with al-Awlaki, describing him as the “Yemen-based religious scholar,” the transcript also showed up in English on the Al-Jazeera website. Mauro: Won’t Al-Jazeera America have to be moderate in order to succeed in the marketplace? Al-Jazeera is his weapon of conquest. We must not commit suicide as a nation in the face of this threat. American lives hang in the balance.